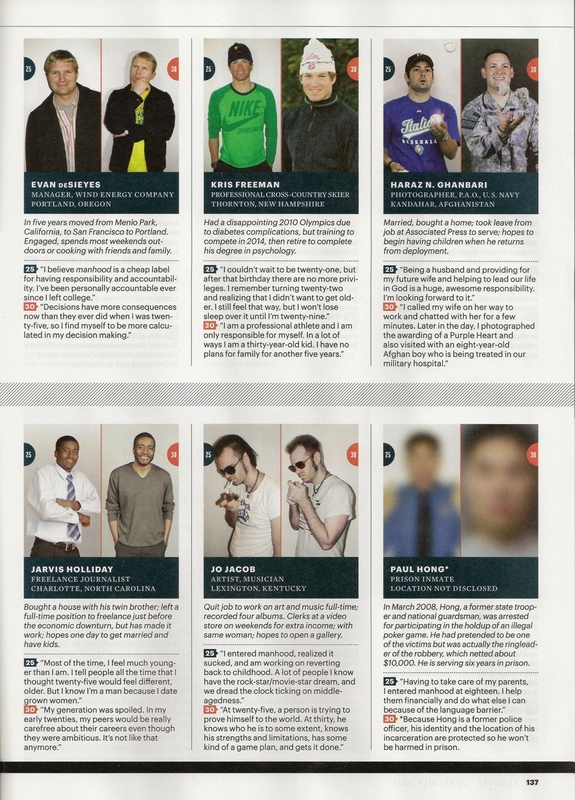 You can check me out in the June/July 2011 issue of Esquire magazine. No, it's not a story written by me (though that would be a dream come true), instead it's a story I'm included in. This issue of Esquire, which features The Hangover 2 actor Bradley Cooper on the cover, is all about "How To Be A Man." In addition to the feature on Cooper, there are stories on etiquette for men, what makes a man, dressing like a man, and the whole section dedicated to drinking--all with the wit and edginess Esquire is known for. Then there's the "A Portrait of the American Man at 30" feature, and that's where I come in. Back in 2006, Esquire profiled 51 men--one from each state and D.C.--who were all 25 years old about what life was like at that age and how it might differ from previous generations. I was the young man profiled from North Carolina. This past February, I received an email from one of the magazine's editors saying they wanted to do an update on each of us, since five years had passed, on how our lives had changed now that we're 30. They managed to catch up with and interview 40 of the original 51 guys, which I'm sure was a painstaking process. So look for me on page 137 of the June/July 2011 issue (the mag now does a double issue for the summer, but otherwise is a monthly publication). It's on newsstands now, and Esquire tends to post individual features from print gradually online, but I'm not sure if this one will eventually make it onto the net. 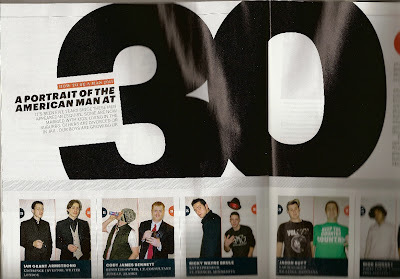 UPDATE 6/16/11: The "A Portrait of the American Man at 30" feature has been posted on Esquire's website. Click here to read it.